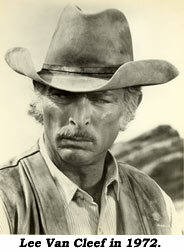 I reckon I may have seen Lee Van Cleef on stage in “Mr. Roberts” at the old Biltmore Theatre in downtown L.A. when I was a kid. I read somewhere he’d toured with that show. My mom and I sat in the last row of the top balcony. No binoculars. I was as near-sighted as I am now. There was a tad of smog in the air. The only way I knew it was Henry Fonda down there was by his voice. Yep, Lee may well have been aboard that night as a member of Mr. Roberts’ crew, sailing from boredom to despair and back again, keeping out of harm’s way, namely the captain. 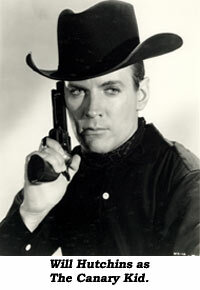 My first recollection of Lee was in “High Noon”, his first flick. When he appeared on the screen, somehow, I knew that guy. I knew who he was. Always did identify more with the bad guys. He scared me. I figured Gary Cooper was a goner for sure, and he would have been if Grace Kelly hadn’t come out a’shootin’. Lee seemed to me the most dangerous, the baddest of the four gunslingers in that famous shoot-out. It was that look. The screen must have been made of asbestos or Lee’s eyes would have burned a hole in it. “High Noon” did it for him and he was off like wildfire in a splendid career featuring one memorable performance after another. He was comfortable in most any kind of movie. I liked him best in westerns. Whenever he materialized on the screen I knew I was in for a whole lot of fun—Heh, Heh—a whole lot of delicious deviltry. I didn’t know his name at first but I knew that face and those deadly eyes. Heroes come, heroes go, but bad guys go on forever. They’re the backbone of westerns. Without them there’d be no story, no conflict. Being bad guys they often steal the picture. They’re the ones you remember. Sure, bad guys get killed at the end but they’ll be back in the next one, reincarnated, making life hell for heroes. Lee was a bad guy, a character actor par excellence. Like Bronson and Eastwood he went to Europe and became an international star in spaghetti westerns. When I was Sugarfootin’, Monte Pittman, my favorite writer-director, came up with the idea of my playing dual roles: Tom ‘Sugarfoot’ Brewster and his look-alike evil cousin and nemesis, the notorious Canary Kid. The Kid’s heart was as black as his hat. He robbed, looted, sacked, pillaged, plundered, cursed, cavorted with the ladies, spat, chewed, smoked rotten ceegars, drank cheap whiskey, spent many a moon in the hoosegow and put slugs in vending machines. I loved him. I tried to talk my bosses at Warner Bros. into killing off Sugarfoot and letting the Canary Kid run rampant. It’s the Kid’s autographed picture that hangs on the wall next to the shoeshine stand in front of “The Tonight Show” stage at NBC. When Monte finished the first Canary script I had to come up with a characterization pronto. 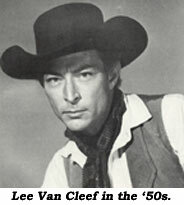 I asked myself, “What would Lee Van Cleef do?” And I took it from there. Had the honor of working with Lee once on ABC-TV’s “When The West Was Fun—A Western Reunion” (‘79), hosted by Glenn Ford and dedicated to Duke Wayne, who was in the hospital. It proved to be a very popular special. At show’s end all we cowpersons gathered ‘round the campfire and sang “Happy Trails” with Roy and Dale and the Sons of the Pioneers. Don’t know about anyone else, but I was crying. Luckily, I was in the back row. They didn’t have enough chaps to go around.